Black Friday & Cyber Monday weekend sales are here. This may be the only time we ever do a sale like this, but we are doing it to celebrate such a warm and welcoming first season in Ocean City NJ! Save up to 30% on Dockside Kitchen Apparel & get a $20 bonus card for every $100 in giftcards you spend! That’s a saving of 20%! Plus, it gives you something to look forward to next summer & warmer weather. Added Bonus! 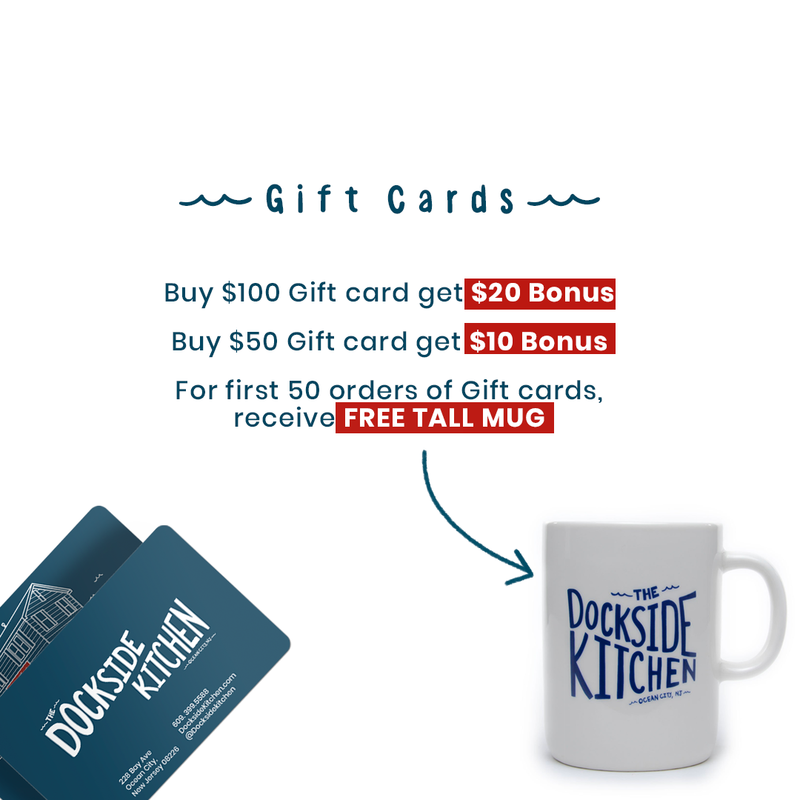 First 50 orders get a FREE Dockside Kitchen Logo Mug!